Colbinabbin Homestead, an Italianate style single storey solid brick and stucco house with a cast iron a verandah with concave galvanised iron roof, was designed by Bendigo based architect, Robert Alexander Love, was and built for John Irving Winter in 1867. The Irving Winter Family owned large pastoral interests throughout Victoria , New South Wales and Queensland which were established with the proceeds of gold discovered on their land near Ballarat. The Colbinabbin run was established by William Curr in 1843 and was bought by John Winter for his four sons in 1857. John [Jock] Winter, the son of a blacksmith, arrived in Australia with his family from Scotland in 1841 and settled near Ballarat. 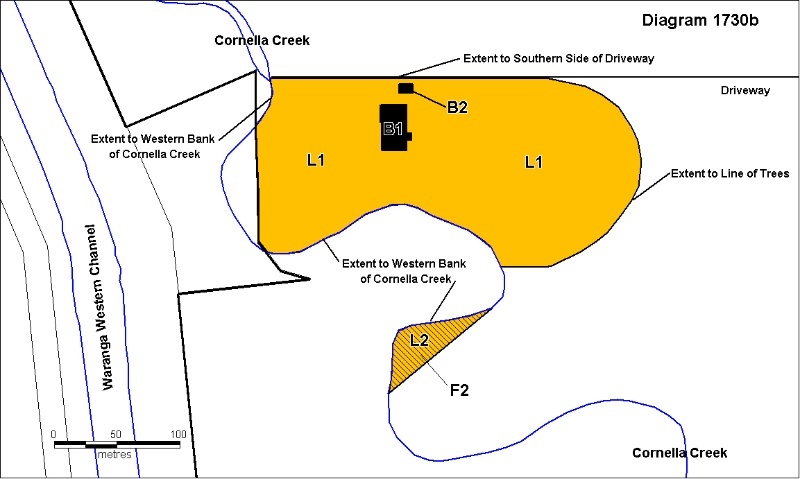 The discovery of gold on their property transformed the life of the family and provided the basis for sizeable investment in large pastoral areas throughout northern Victoria. New South Wales and Queensland. In Victoria the wealth of these property owners was expressed in their homesteads. These included Dhurringile (H1554), built for James Irving Winter in 1877; Noorilim (H0297), built for William Irving Winter in 1879; and William's first homestead, Stanhope, also designed by Love in 1867 (now demolished). The property was sold in 1887 to Melbourne builder David Mitchell (1829-1916) and was subdivided in 1907 in response to the Closer Settlement Act of 1904. 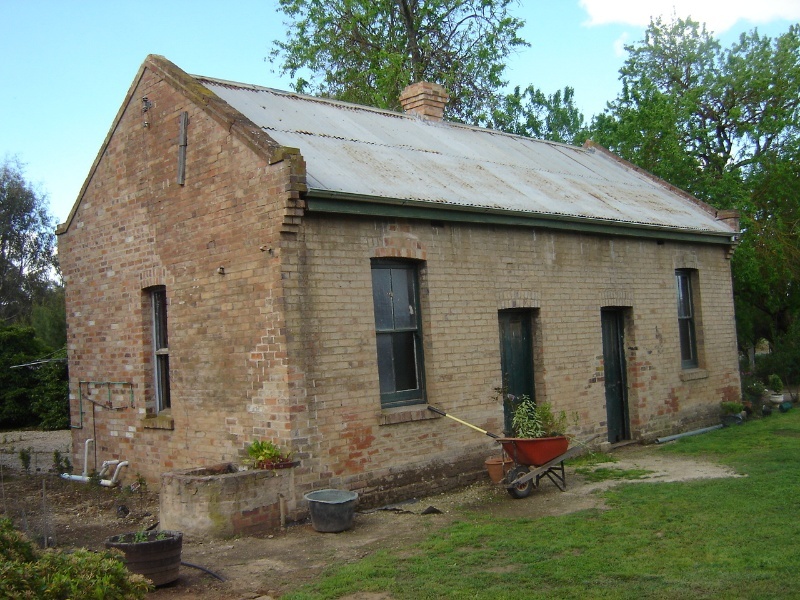 Colbinabbin Homestead is an Italianate style single storey solid brick and stucco building in two distinct parts. The house is in two distinct but unified parts. The main body of the house consists of eight rooms arranged around a 'T' hallway layout that terminates at the service area at the house's northern end. This service area consists of two wings either side of a courtyard built over an underground brick lined tank. The western wing accommodating the kitchen was demolished at some point but was rebuilt in 2004. The main body of the house of eight rooms has a cast iron a verandah on three sides with a concave galvanised iron roof with cast iron posts and trim. The external walls of the house rise to a low parapet with bracketed cornice in front of a concealed gutter. The service area on the northern side of the house consists of two wings either side of a service courtyard with an underground brick lined tank. The wing accommodating the kitchen wing was demolished at some point but was rebuilt in 2004 with materials salvaged from the demolition of Stanhope. 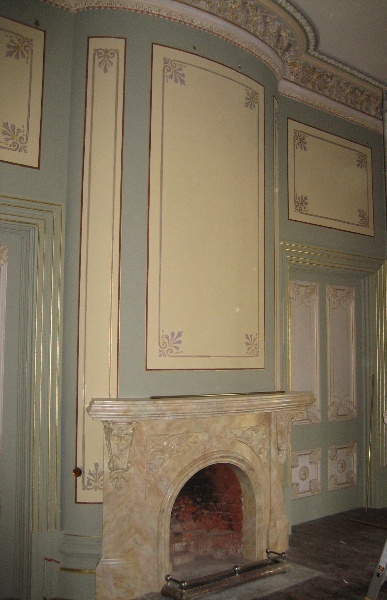 The interior spaces of the principal rooms of the main body of the house are distinguished by a rare and n elaborate decorative scheme, displaying a range of high quality nineteenth century decorative techniques including examples of walnut wood graining to the doors, marbling to the fireplaces and hallway walls, painted and stencilled leather grained wallpaper, stencilled pattern work and fine paint detailing to pilaster capitals and plaster cornices. 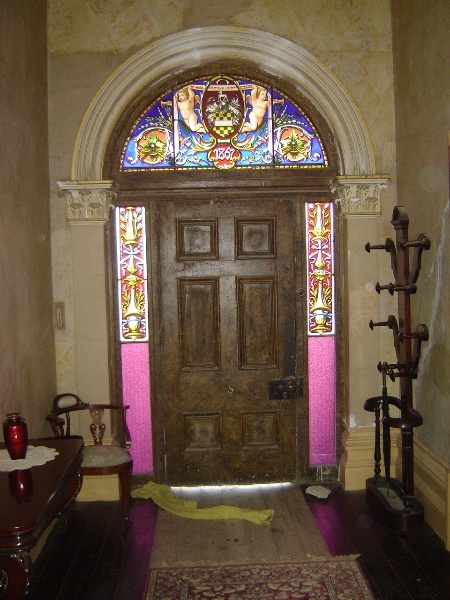 The front door has leaded and painted glass fanlight and side panels. The fanlight incorporates the family crest and date of construction. The two front rooms of the house are separated by a shared elliptical fireplace and painted panelled doors that slide up into the roof space above. The homestead is nestled into the edge of Cornella Creek, and the garden is surrounded by River Red Gums on the west and south sides. The garden is enclosed on the north side by an old Osage Orange hedge, which curves around the eastern edge to meet up with River Red Gums to the south. O. Osage Orange, a native of North America, was imported in the 1850s for the purpose of a "living fence" and was first listed in 1857 by John Rule, a Richmond nurseryman and became widely available from nurseries in the 1860s-1899. The hedge at Colbinabbin is an unusually large planting and is the only known example where Osage Orange has been used to enclose a garden, and the curved eastern side is an attractive design feature. The original garden has mostly been lost and the only surviving trees are 2 large English Elms at the south entrance which mark the line of the original drive. To the west of the homestead an Oleander, a Mulberry and a large spreading Pepper tree remains. There are a number of associated outbuildings including a bakehouse, a shearing shed and a cattle dip. The bakehouse is of cavity brick wall construction. The two skins of the wall are tied by 37mm wide metal straps, placed at 900mm intervals, with ends looped around a metal band in each wall. There are two sets of these bands which run around the perimeter of the building, one below sill level and the other above head height. The date of construction for this building is believed to be soon after the construction of the house, if not contemporary with it. While various early forms of cavity brick walls were built throughout Victoria prior to the late 1860s, Love is credited with the introduction of the wire tied cavity wall to Victoria. The metal tied cavity wall became, and still is, the standard technique for full brick construction in Australia. It is believed to be amongst the earliest known examples of wire tied cavity brick construction in the state. 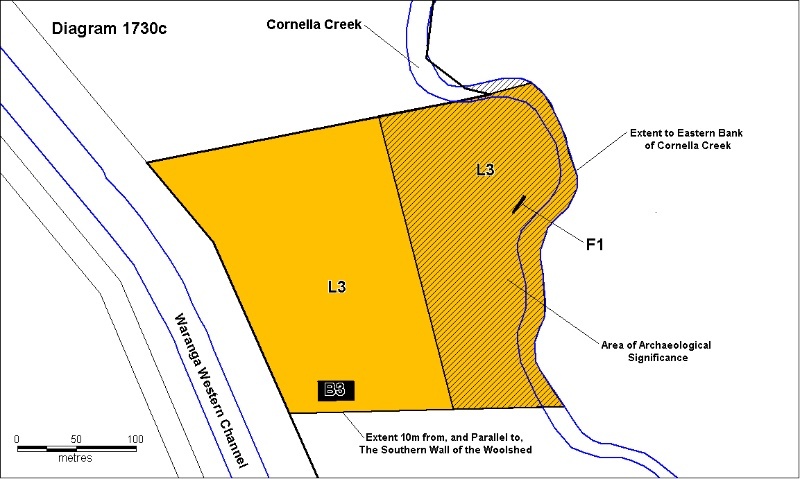 There may be archaeological remains of' a substantial wool scouring works close to the woolshed, on the banks of Cornella Creek. These works were powered by a thirty five horse power steam engine that allowed the woolshed's daily clip to be scoured, dried and pressed within twenty four hours. In 1864 the works were scouring twenty bales a day. The scouring works were set up as joint enterprise by the Winter Brothers and also processed wool from their other run s. Thee works were part of a larger collection of buildings that were believed to also include amongst other activities, a boiling down works and a meat preserving works. Early photographs show a substantial chimney behind the scouring sheds. None of these structures are extant, but some remnant structure is still visible at ground level and it is believed that evidence of the other structures and the activities of the site are below ground level. 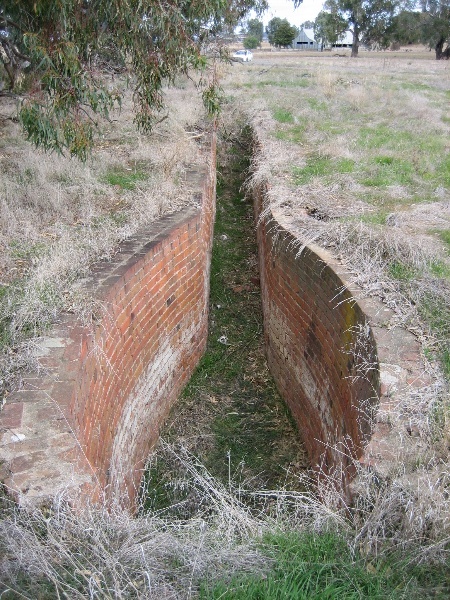 The bricks from these structures are said to have been taken to Rushworth for use in the mines. Near to the location of the works is an extant brick lined cattle dip. 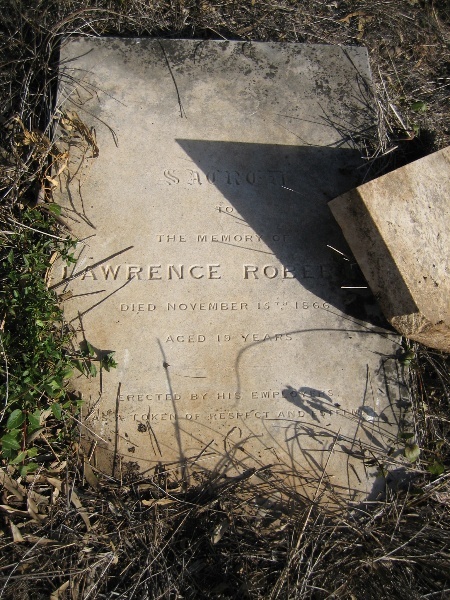 The property has a small cemetery to the south of the homestead on the banks of Cornella Creek where . Eeleven people were buried here between 1860 and 1870. 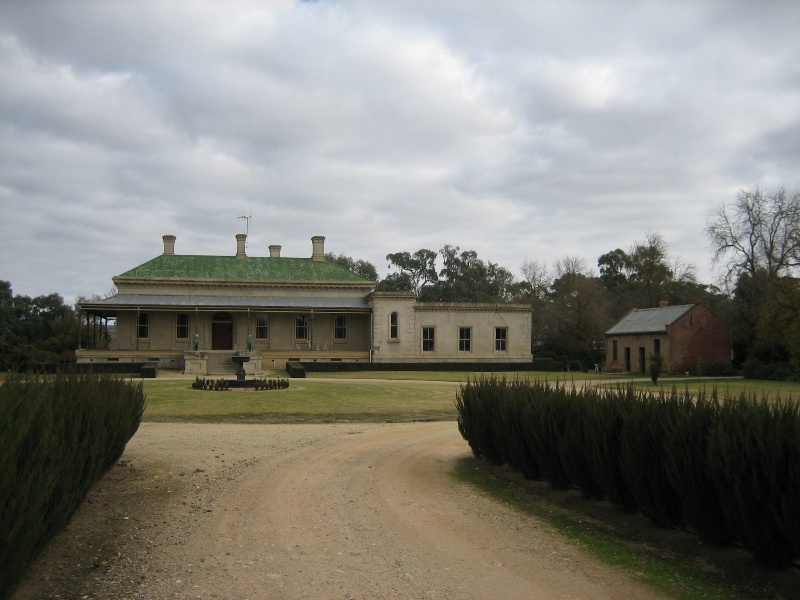 Colbinabbin Homestead is of architectural, historical, archaeological and aesthetic (landscape) significance to the State of Victoria. Colbinabbin Homestead is of historical significance as an important example of a substantial homestead built with the proceeds of gold discoveries and subsequent pastoral wealth. 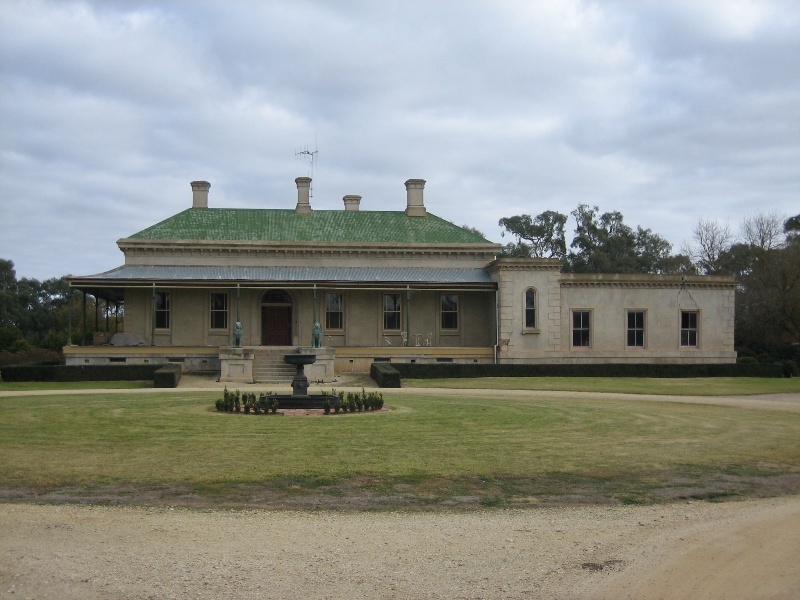 Colbinabbin Homestead is of historical significance for its associations with its owner John Winter and the prominent Winter and Winter-Irving families who were among the largest pastoral landholders in Victoria. Colbinabbin Homestead is of architectural significance as a fine example of the Victorian Italianate style. The house is also of note for its distinctive planning layout. 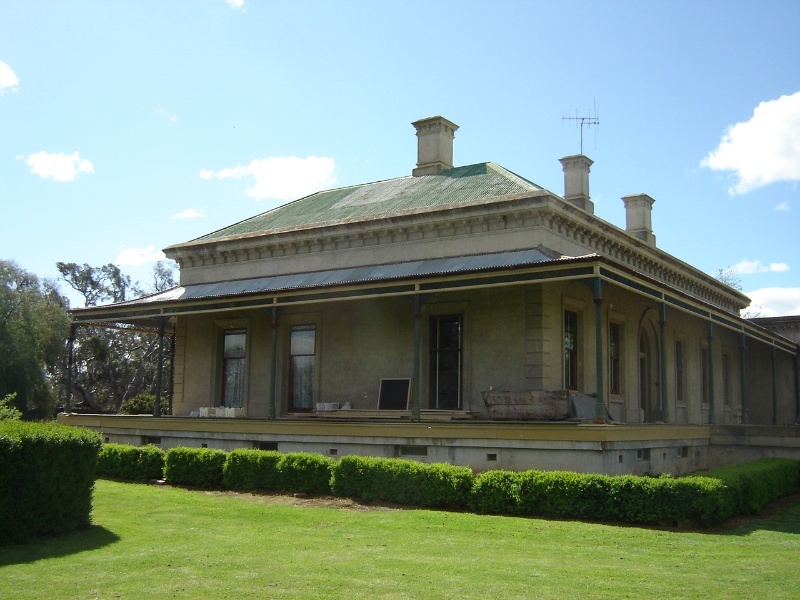 Colbinabbin Homestead is of architectural significance as a fine example of the Victorian Italianate style. The house is also of note for its planning: the main body of the house is based around a 'T' hallway form and the servants rooms and kitchens are located around a small attached courtyard. Colbinabbin Homestead is of architectural significance for its rare and elaborate internal decoration. The decorative scheme is of particularly high quality and represents both the range and high level of skill of its nineteenth century decorators. Colbinabbin Homestead is of architectural significance as an example of the work of Bendigo based architect, Robert Alexander Love (1814-76) and for the early use of cavity brick wall construction in the bakehouse. 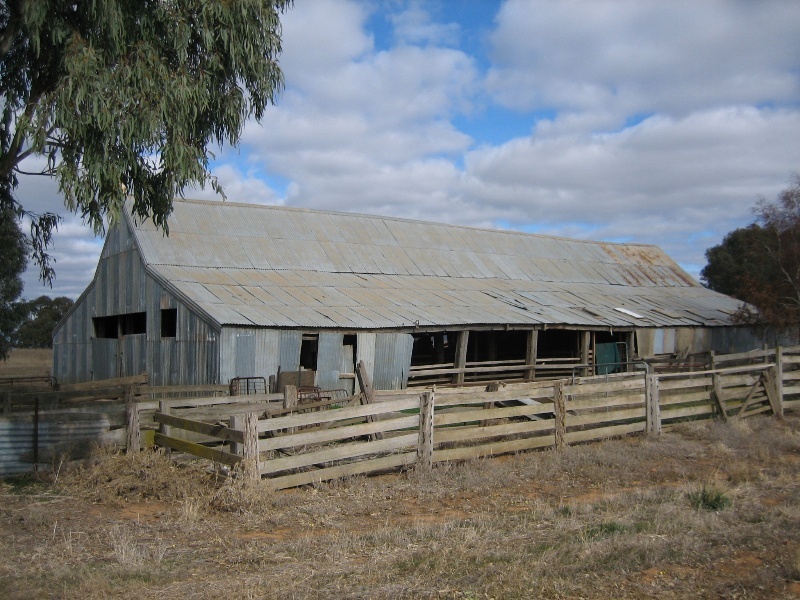 Colbinabbin Homestead is of historical and archaeological significance as the site of a once large agricultural enterprise as represented by the woolshed and the cattle dip. 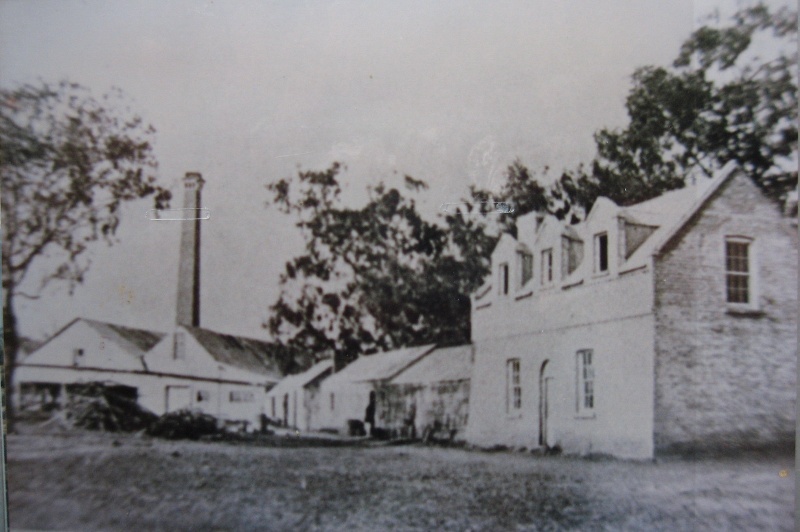 It once also included a substantial industrial complex that incorporated a steam driven wool scouring works and is believed to have also included a boiling down works and a meat preserving works. The site has archaeological potential to yield important in situ remains, including artefact deposits, relating to the 19th Century agricultural industrial complex. The garden is of historical and landscape significance for its use of Osage Orange (Maclura pomifera) as a hedge plant. Colbinabbin Homestead, Osment Road, Colbinabbin, Campaspe Shire Council. 1. All of the buildings and features marked as follows on Diagrams 1730a, 1730b & 1730c held by the Executive Director. 2. All the land marked L1, L2 & L3 on Diagrams 1730a, 1730b & 1730c held by the Executive Director. 3. All the archaeological remains on the land on Diagrams 1730a, 1730b & 1730c. Colbinabbin Homestead, designed by Bendigo based architect, Robert Alexander Love, was built for John Irving Winter in 1867. The Colbinabbin run was established by William Curr in 1843 and was bought by John Winter for his four sons in 1857. John [Jock] Winter, the son of a blacksmith, arrived in Australia with his family from Scotland in 1841 and settled near Ballarat. The discovery of gold on their Ballarat property transformed the life of the family and provided the basis for sizeable investment in large pastoral areas throughout northern Victoria. New South Wales and Queensland. In Victoria the wealth of the family was expressed in their homesteads. These include Dhurringile (H1554), built for James Irving Winter in 1877; Noorilim (H0297), built for William Irving Winter in 1879; and William's first homestead, Stanhope, also designed by Love in 1867. John Irving Winter never married but had two illegitimate children, who on Winters death in 1877 were sent elsewhere by Winter's executors. The property was sold ten years later, in1887, to Melbourne builder David Mitchell (1829-1916) and was eventually subdivided in response to the Closer Settlement Act of 1904. Colbinabbin Homestead, designed by Robert Alexander Love, was built for John Irving Winter in 1867. 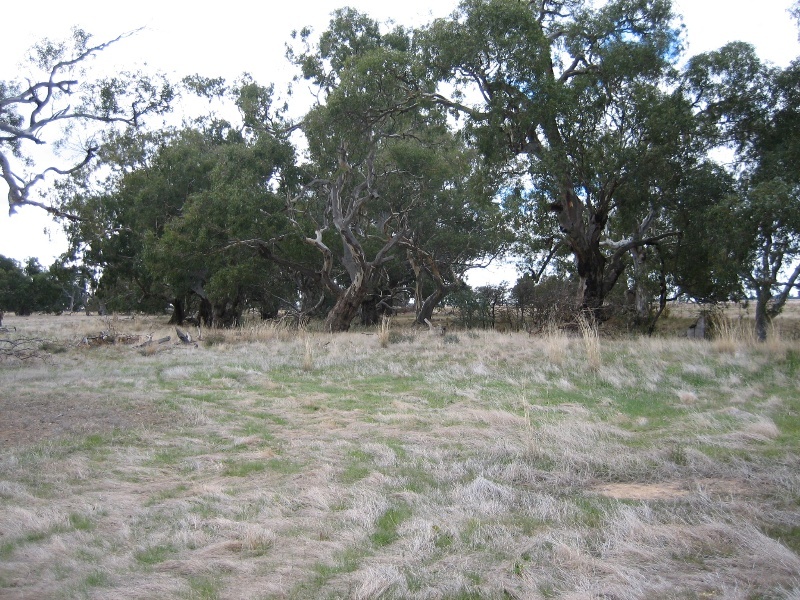 The Winter family eventually held sizeable investments in large pastoral areas throughout northern Victoria, New South Wales and Queensland. Note: Surface patina which has developed on the fabric may be an important part of the item?s significance and if so needs to be preserved during maintenance and cleaning. Landscape Maintenance : The process of gardening and maintenance, mowing, hedge clipping, bedding displays, removal of dead plants, disease and weed control, emergency and safety works to care for existing plants. The purpose of the Permit Policy is as a guide only in assisting when considering, or making decisions regarding, works to the place. 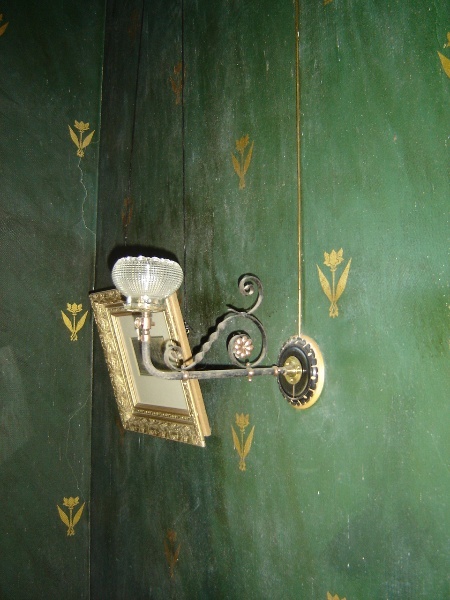 The decorative elements and applications in the house are of prime significance and represent a rare and comprehensive collection of nineteenth century decorative techniques. 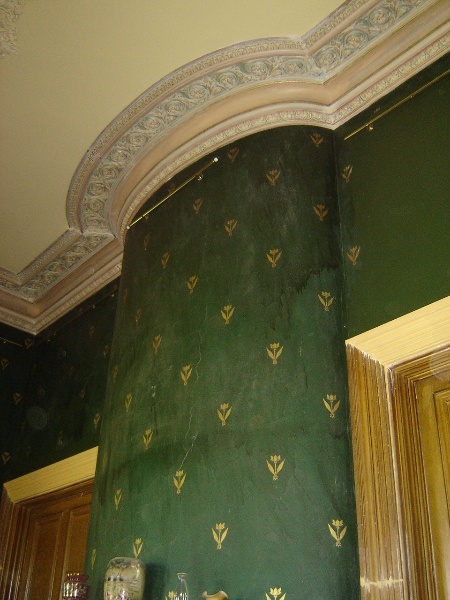 While the conservation and restoration of this decoration is encouraged, any proposal that would remove or cover any original decorative element should be avoided. Any proposal that would introduce any new colour schemes, alter or affect the existing colour schemes should be avoided. Any proposal to introduce any new decorative schemes or elements should similarly be avoided. The original rooms and new kitchen surrounding the northern courtyard can be repainted and decorated without adversely affecting the heritage significance of the place. The northern section of the eastern wing of buildings surrounding the northern courtyard is in partial state of collapse. It is expected that remedial work will be required to this part of the house and may require the removal and rebuilding of the affected sections of the structure. While the conservation and restoration of part of the house is encouraged, this work will still require a permit. 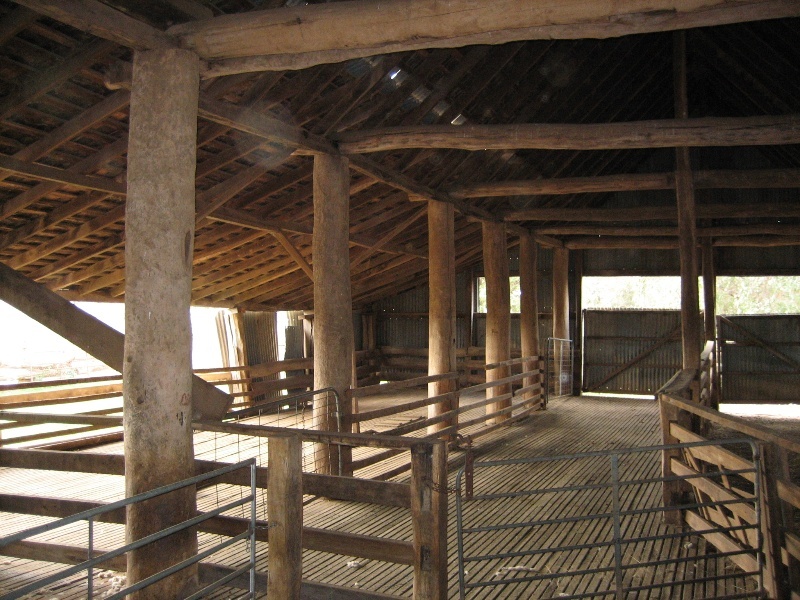 While it is understood that the woolshed has been significantly altered throughout its history and continues to be used, the original structure appears in good condition and the place still clearly illustrates the processes and activities that were undertaken, and continue to be undertaken, there. Ongoing maintenance to the structure should not require a permit but major maintenance works may require permit approval or the written approval of the Executive Director. Any proposal that would alter the remaining layout of the pens, races, shearing boards and other traditional zones and functions of the shed, and their understanding, should be avoided. It is expected that land included in the extent of registration will continued to be used for agricultural purposes, including cultivation and grazing, however disturbance of any area of archaeological significance should be avoided. 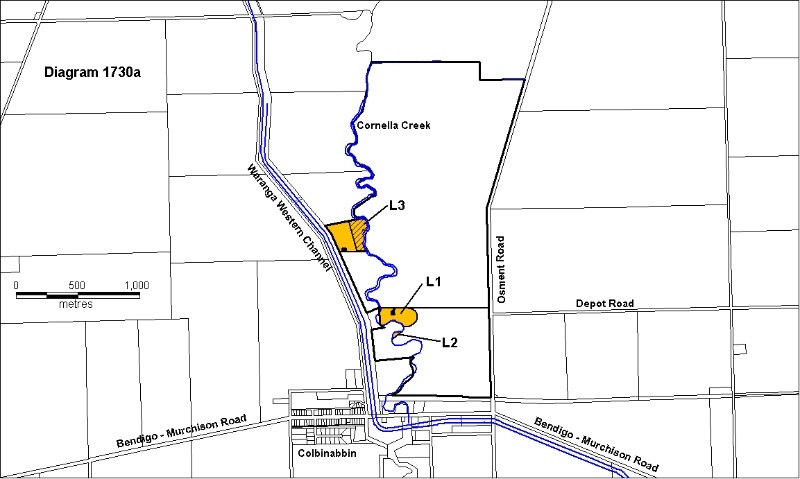 These areas include the location of the cemetery and the area that included the scouring works and other industrial processes on the banks of Cornella Creek near the woolshed. It is also recommended that the remains of the old bridge near these works are undisturbed. The bakehouse is of significance for its early cavity wall construction. Any proposal to remove any section of wall or introduce any new opening should be avoided. The internal fabric of the bakehouse including flooring and ceiling boards is intrinsic to the understanding of the place and any proposal to remove or alter these should be avoided. Although not a requirement, the preparation of a Conservation Management Plan for Colbinabbin Homestead would greatly assist in the future management of the place.